Looking to sell this as a lot as I need to recoup from recent purchases. Looking for $114 shipped CONUS ONLY. Simpsons Chubby 2 Synthetic- amazing brush. Recently bought from a great member here. 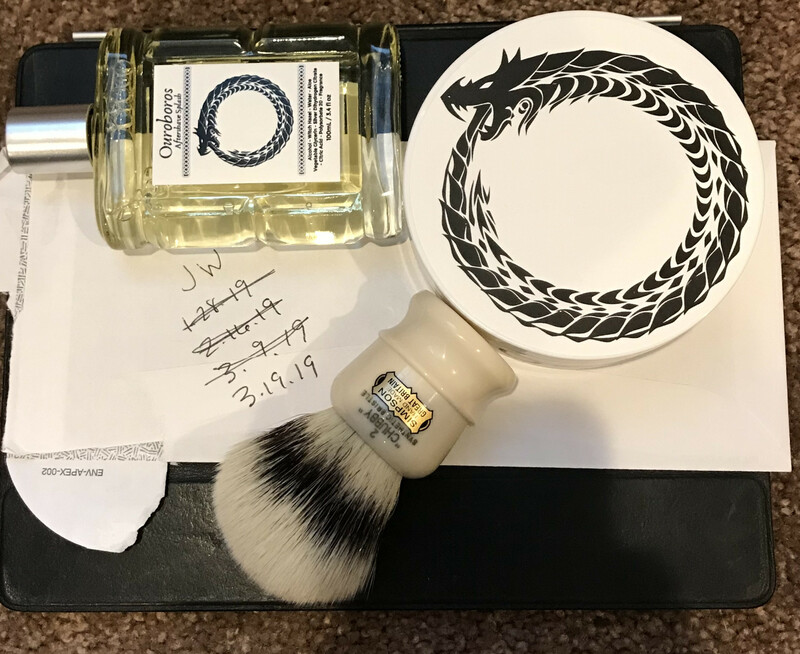 Murphy & McNeil Ouroboros set- used 1x. Fantastic scent and performance. For anyone looking the simpson synth is a little hard to splay at first. It is the only synthetic I have ever had to break in but once it is.... Amazing brush, totally worth the effort.